To keep yourself and your loved ones safe, you may have learned some car safety rules. 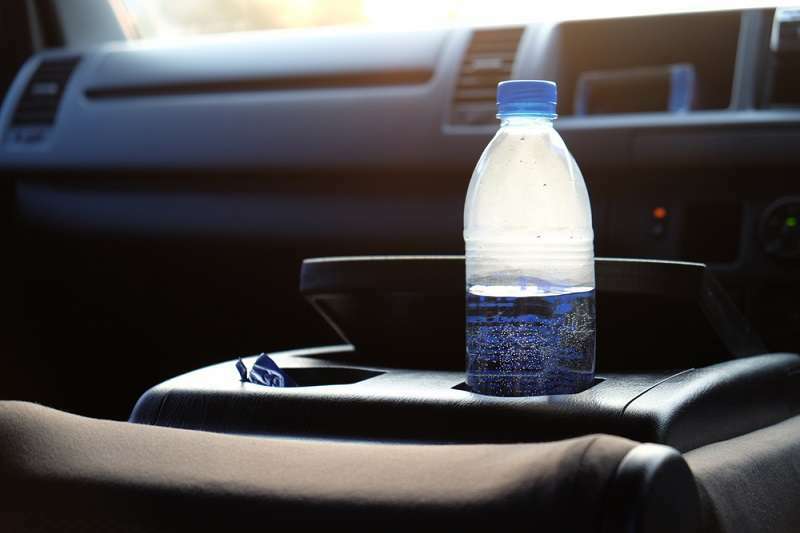 But chances are you've probably not been schooled about how dangerous it can be to leave a water bottle in a hot car. 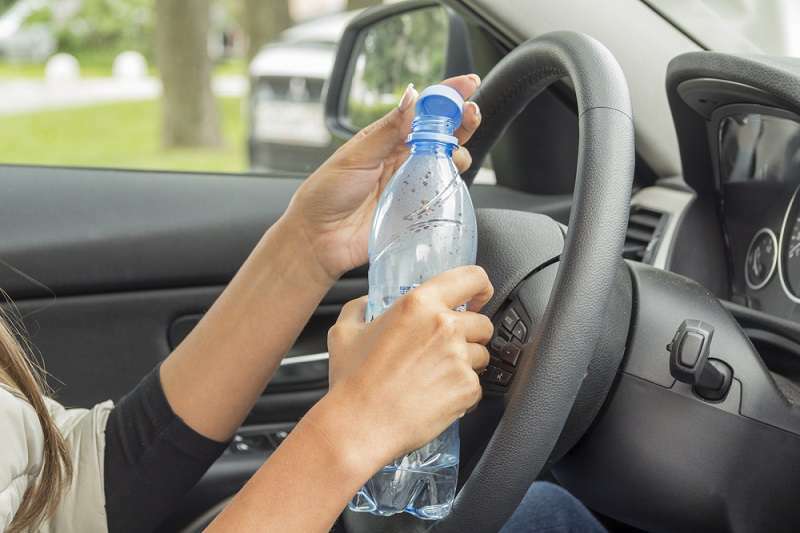 During the summer, carrying a water bottle around in your vehicle is a given. However, leaving it in your car is a dangerous situation. It can actually start a fire. 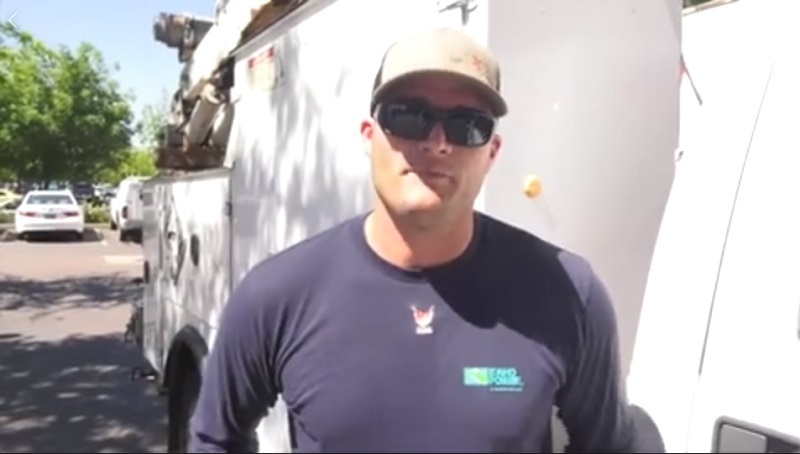 It can be pretty confusing to think about water causing a fire, but it does happen. And a batter technician witnessed the process. Apparently, when the weather is really hot, the sun will shine through your car window and come in contact with the bottle. 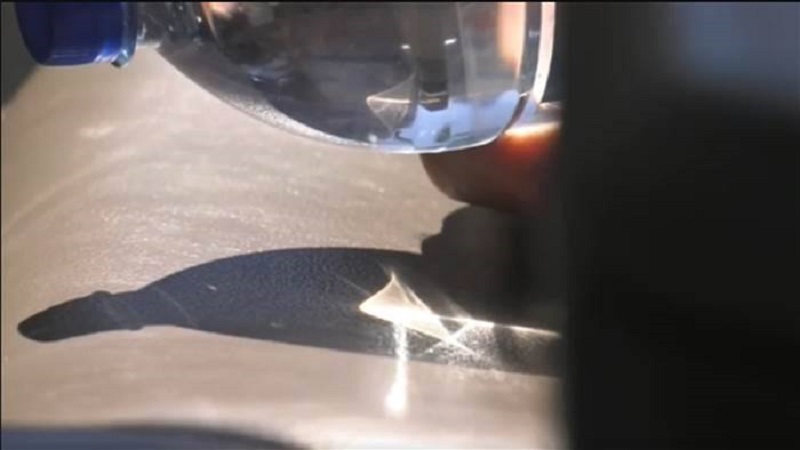 The water inside serves as some sort of magnifying glass, which will end up shifting the focus of the sunlight and heat to one spot. When this happens, the spot where the water directed the heat can get so hot that it can create flames. Now, if you're not in in the car, or you do not notice it, this can have a dangerous repercussion. If you are shaking your head in disbelief right now, perhaps this video shared by a station battery technician will serve as proof. Dioni Amuchastegui said he was having lunch in his parked car when he noticed smoke. Of course, he looked around trying to find the source. He then saw that a spot of light under his water bottle was starting to catch fire. Amuchastegui was shocked. He could not believe that the heat became intense enough to burn a hole through his seat. There were actually two little burn marks to prove it. It was pretty fortunate that Amuchastegui was in the car when this happened. The story would probably have ended differently otherwise. 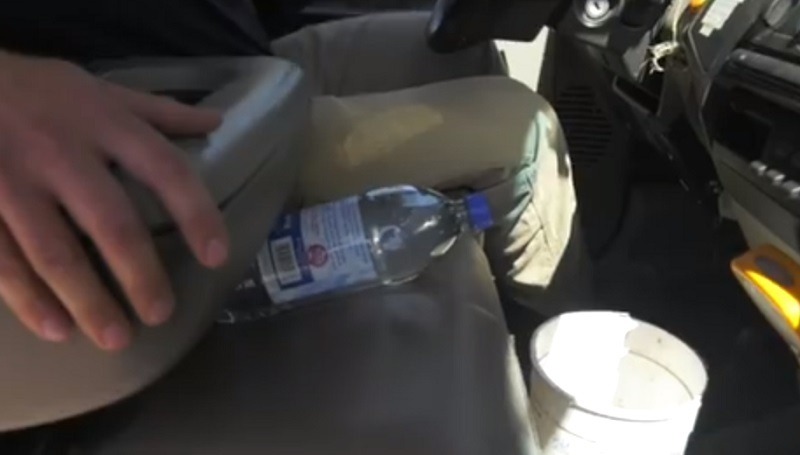 So, to make sure you stay safe, always carry your bottle with you when you leave your vehicle. If you must leave it in the car, then find a spot, where it will not be exposed to direct sunlight, like under the seat for instance.